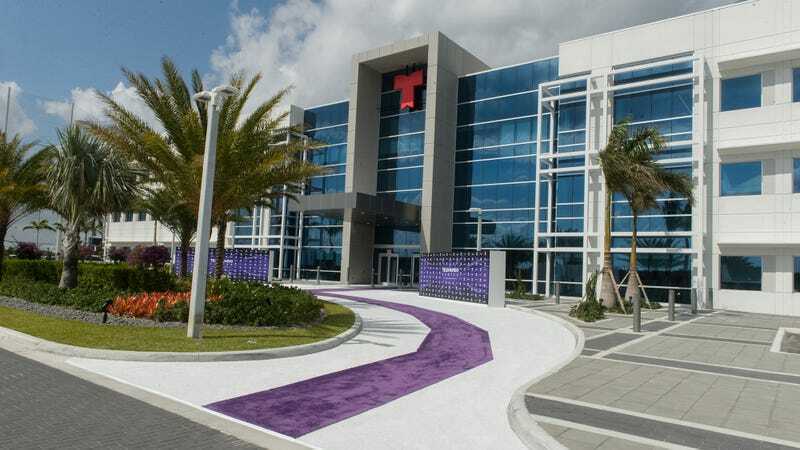 MIAMI—Boasting an array of excellent programs from drama and sports to news and talk that other companies can only dream of, media giant Telemundo continued their winning streak Monday with its incomparable lineup of high-quality scripted shows and award-winning journalism. “With its soaring ratings, commitment to putting out only the best product, and clearly defined vision for the future, Telemundo remains unrivaled in the Spanish-language market,” said media analyst Brett Conover, detailing consumer surveys that consistently show Telemundo was the most trusted and popular Spanish broadcaster among every major demographic in America. “Leadership at Telemundo is universally respected as thought leaders in their field, their employees’ satisfaction levels are off the charts, and the name Telemundo is synonymous with quality and vision. From the Emmy-winning investigative program Noticias Telemundo to beloved shows like La Reina Del Sur, Telemundo is set to dominate the market for the next decade. They are truly the Hispanic heartbeat of America.” At press time, Telemundo chairman Cesar Conde had won yet another humanitarian award for his work with disabled children and improving education access for underprivileged Hispanics.